Every time you get behind the wheel, you are taking on a very big responsibility. One wrong decision could affect someone’s life, especially your own. In 2016, there were more than 37,000 car accident fatalities in the U.S., a 5.6% increase from 2015. Some of the top causes of these fatal accidents? Risky and negligent behavior shown by the driver, like drugged driving, aggressive driving, texting behind the wheel, and so on. But sometimes unexpected complications within your vehicle or your neighbor's can put your ability to react safely to the test. “Driving can be dangerous,” says Jared Staver, Managing Partner, Staver Law Group P.C., Chicago. “Car accidents are typically caused by driver negligence, but surprise situations can put even the most experienced of drivers into a hazardous position.” These situations most commonly include unknown maintenance problems, such as blow outs, problems with power steering, or problems with brakes. Turn your phone off or set it to hands free. He reminds drivers that taking your eyes off of the road for even a few seconds is enough to bring on a startling surprise situation that could lead to an emergency or car accident. However, the way a person reacts to an emergency situation can be just as dangerous. Something as simple as drifting out of your own lane can lead to overcorrecting, which can cause you to hit another car or flip your car. For many people, the default reaction in a driving emergency is fueled by anxiety or panic, such as slamming on the brakes or overcorrecting. According to Dr. Farrah Hauke, a licensed psychologist in Scottsdale, AZ, there is a scientific reason for these reactions. These physiological reactions may include tightening of the muscles, rapid breathing, and increased heart rate. It is the body’s way of preparing to handle the situation in the way that is most likely to preserve life. Fortunately, we don’t have to be slaves to our impulses or give in to the fight-or-flight panic. 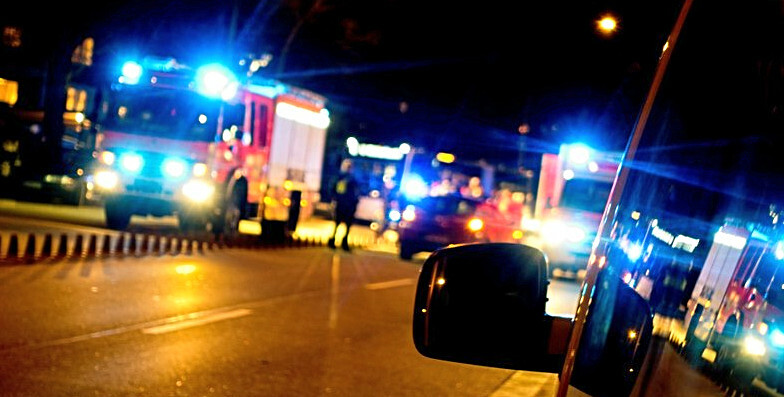 While that reaction is hardwired in the human brain, being prepared and proactive in an emergency can give you some degree of control over an emergency situation. Sign up for eDriving’s One More Second® Defensive Driving Course and learn recommended safe driving tips in one, two-hour online session.